I remember a time when most women knew how to crochet. 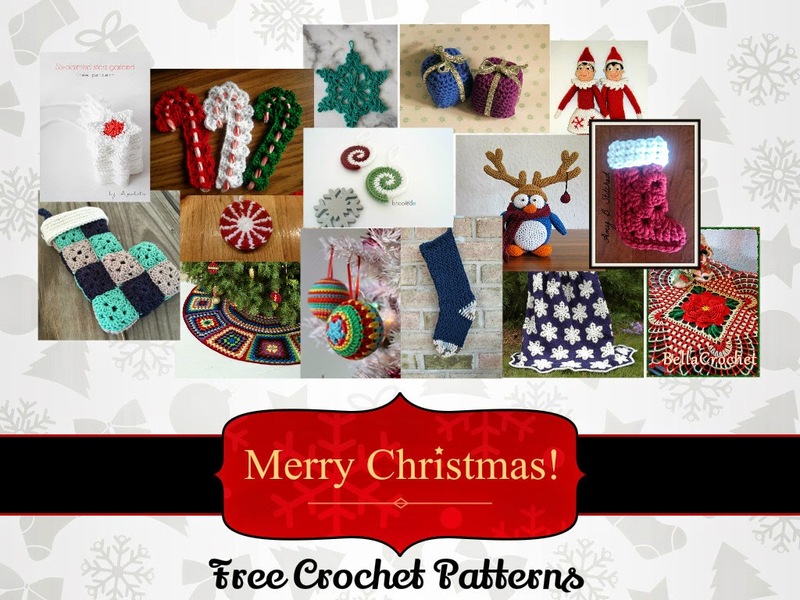 All of their crochet projects, made over the span of years, were displayed through out their home. I never really noticed all this homemade stuff growing up. It was just part of the background noise. Now I am grown-up (total bummer) and I don't see a lot of homemade trinkets around other people's homes. Many people just don't pick up the hobby as much as they used to. 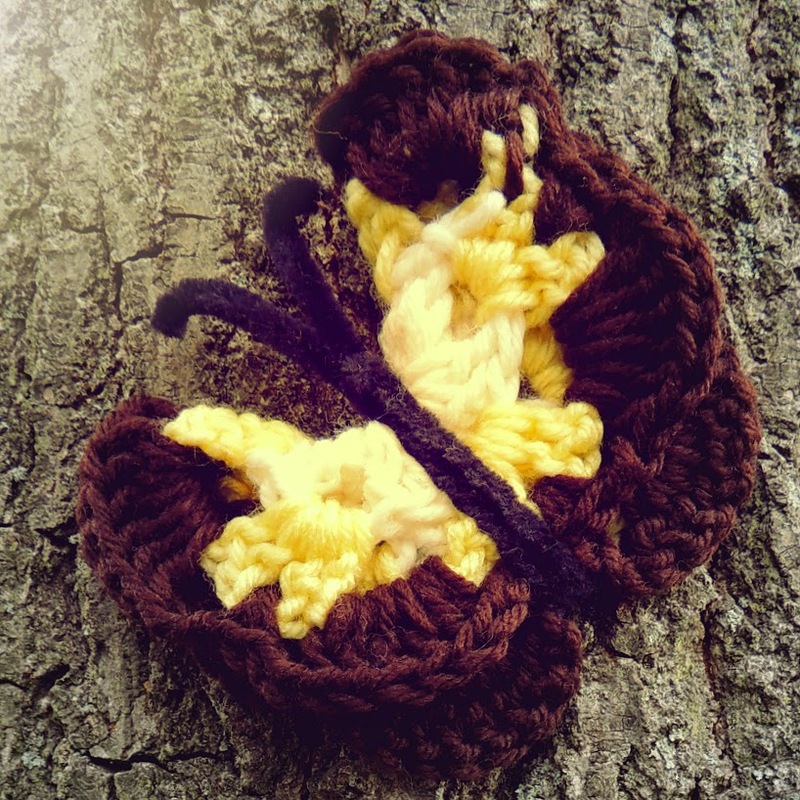 Crochet is very time consuming and that's why I love cute little projects like this crochet butterfly. 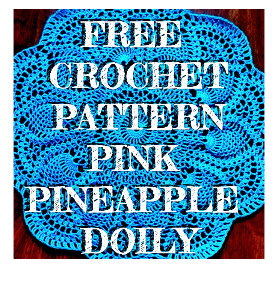 My living room swims in crochet projects at times, I stash them everywhere and pick them up at my leisure, but there are a few patterns I am working to locate and recreate to decorate my house, just like my mom and my aunts did at one time. I really remember these butterflies, they stick out in the forefront of my mind. I have seen so many different patterns out there but there is always one that comes to mind. I had almost forgotten about my search (very busy lately with work) until a few weeks ago I was helping my mother clean her attic. 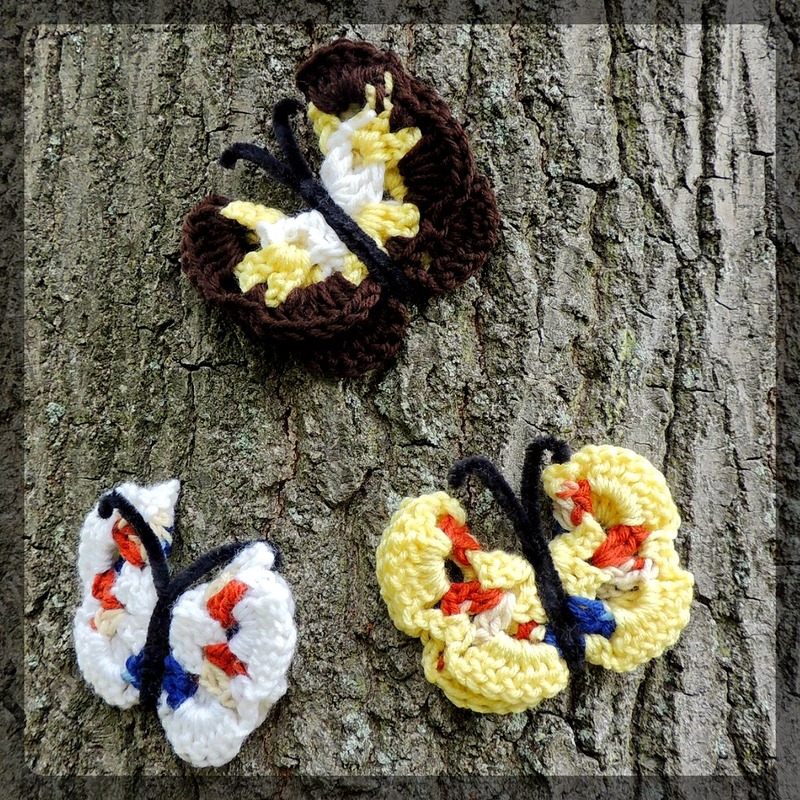 We stumbled across her old yarn stash (win for me :D) and I found a bunch of these crochet butterflies in different states of assembly. There was also a couple unfinished granny square blankets but that is a post for another time. I decided to hunt down this pattern. I found it published on a small and forgotten blog, but it's pretty easy to read and is the pattern for these vintage beauties. You can get that pattern here. These are really easy to crochet and the come together really quick. Pipe cleaners are used to scrunch the wings and create a 3D butterfly. Crochet Butterflies that my mother made.